The case management assessment is the top tool for stratifying candidates for telephonic case management contact, according to market data from HIN’s 2014 survey on Telephonic Case Management. Sixty-one percent of respondents use a case management assessment to identify high-risk, high-cost individuals who would benefit from telephonic follow-up and care coordination. In other market data, more than 84 percent of respondents utilize telephonic case managers, with more than half54 percentmaking contact with patients from virtual home offices. The complex comorbid are the primary targets of telephonic case managers (TCMs), the survey found, but the newly discharged, those in acute stages of chronic illness, frequent utilizers and high-risk, high-cost patients also receive their fair share of telephonic attention from these case managers. Each program discussion is supplemented by market data on risk stratification approaches for that care coordination intervention. CMS readmissions penalties and accountable care organization (ACO) cost savings were among circumstances driving some organizations to embed case managers, according to the Healthcare Intelligence Network’s (HIN) inaugural survey on Embedded Case Management. The majority of the survey’s 125 respondents (68 percent) have embedded programs in place to meet the expanding demand for case management services across the healthcare continuum, with the intent of improving care and quality outcomes. Sites for embedding or co-locating of case managers ranged from primary care practices (PCP) to the hospital discharge area. 9 percent of respondents that don’t have such programs intend to implement them within the next 12 months. The average monthly case load of an embedded case manager is 1 to 49, according to 34 percent of respondents. Slightly less than one third (32 percent) of respondents cite case loads of between 50 and 99 patients a month. The majority of respondents (77 percent) prefer that embedded case managers be registered nurses; 55 percent prefer that they have a bachelor’s degree. In addition to case management assessments (75 percent), provider referrals were a key factor in stratifying individuals for embedded case management, according to 52 percent of respondents. In addition to the PCP and hospital locations, some respondents embed their case managers in skilled nursing facilities (SNF), sub-acute facilities, and oncologists’ practices. Seven percent of survey respondents report program ROI between 2:1 and 3:1, and 3:1 and 4:1. 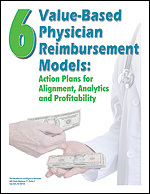 Patient satisfaction is among the greatest successes of embedded case management programs. The biggest challenge of embedding case managers is maintaining a care management focus and communication, according to 22 percent of respondents. 2014 Healthcare Benchmarks: Embedded Case Management provides actionable data from 125 healthcare organizations leveraging embedded or co-located case management to improve healthcare quality, outcomes and spend  including those who apply a hybrid embedded case management approach. This report also shares highlights from embedded case management initiatives at Caldwell UNC Health Care, where case managers are embedded with primary care and employer sites; and Sentara Medical Group, whose highly successful hybrid approach to co-located case management utilizes case managers during home visits, in the hospital, in the primary care provider office, on the phone or via online virtual sessions. Increased price transparency could save the nation as much as $36 billion per year, according to a new infographic by Truven Health. The infographic looks at variations in healthcare costs and consumer perceptions on healthcare price and quality comparisons. Greater cost transparency and consumer engagement are front-and-center in the health insurance revolution that is underway, and the use of data is driving these monumental changes. 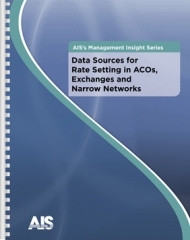 Data Sources for Rate-Setting in ACOs, Exchanges and Narrow Networks examines the various ways claims data can be used in the new health insurance marketplace. In addition to helping support the adjudication of out-of-network claims, claims data can provide the building blocks for ACO development, as well as the foundation for pursuing a narrow-network strategy, developing consumer-oriented tools to promote effective plan selection and plan management, and building internal dashboards for strategic decision making. Infographic: What Medical Innovations Will Transform Healthcare in 2015? What medical innovations have the potential to improve patient care in 2015 and beyond? The following infographic produced by HIT Consultants illustrates the Cleveland Clinic’s annual top 10 medical innovations that are likely to have a major impact on improving patient care in 2015. Healthcare Trends & Forecasts in 2015: Performance Expectations for the Healthcare Industry, HIN’s eleventh annual industry forecast, examines the factors challenging healthcare players and suggests strategies for organizations to distinguish themselves in the steadily evolving marketplace. Posted in Healthcare Trends, Infographics, Quality Improvement | Comments Off on Infographic: What Medical Innovations Will Transform Healthcare in 2015? Meaningful use audits could recover $33M in EHR incentives, according to data from the HHS published in a recent Health Security Solutions infographic. Although the precise reason for failure is not included in the dataset, there is reason to believe from strong anecdotal evidence that failure to conduct an adequate risk analysis is the most common reason entities fail their MU audits. The infographic looks at both pre- and post-payment audits and which states have the highest audit failure rates. In this revised second edition, nationally recognized expert Ron Sterling, president, Sterling Solutions, Ltd., has included up-to-date information on this daily-changing topic of Health IT. A new chapter on EHR and malpractice risk has been added, as well as detailed coverage of conversion issues for practices that have an old EMR. Also, new additions on ARRA and meaningful use will help many medical practices evaluate whether an EHR investment makes sense. Keys to EMR / EHR Success, Second Edition starts with an overview of preparing the practice for technology. From there, Sterling helps the reader define requirements, choose the right system, get physician and staff buy-in, and take the system “live” as smoothly as possible. Sterling translates his experience into a step-by-step process any medical practice can follow with ease, from first considering an EHR, all the way through post-implementation training and updates. 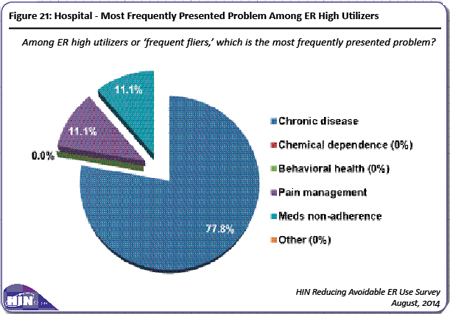 High utilizers continue to be responsible for the majority of avoidable emergency room (ER) visits, with chronic disease edging out pain management as the top complaint among this population, according to respondents to the third comprehensive survey on reducing avoidable ER visits, conducted in August 2014 by the Healthcare Intelligence Network (HIN). A total of 125 healthcare organizations described tactics employed; nearly one third (32 percent) of which were identified as hospitals/health systems. A sampling of this sector’s results follows. While the majority of hospitals/health systems were likely to have such a program in place (53 percent versus 69 percent of all respondents), of those that didn’t, just 25 percent planned a future program, compared to 47 percent of all respondents. Less than one half of hospital respondents (47 percent) felt that eased telehealth regulations would curb avoidable ER use. This sector was twice as likely to find high utilizers generating the majority of avoidable ER visits (78 percent versus 31 percent of all respondents) and least likely to target Medicaid (10 percent versus 28 percent of all respondents). Chronic disease was the most frequently presented problem among this sector’s high utilizers (78 percent versus 54 percent). In terms of patient level solutions, this sector was half as likely to utilize telephonic outreach (33 percent versus 60 percent), and twice as likely not to conduct follow-up phone calls with those discharged from the hospital (30 percent versus 15 percent). 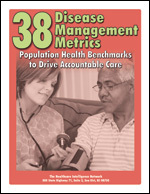 In terms of staff level solutions, this sector was more likely to use hospitalists (22 percent versus 10 percent for all respondents) and onsite educators/coaches (22 percent versus 11 percent for all respondents) and least likely to use disease-specific care coordination (11 percent versus 38 percent for all respondents). This sector was also least likely to notify PCPs of care gaps (22 percent versus 41 percent). When asked to identify the greatest impact on overall ER efficiency, 70 percent of hospital respondents cited fast-tracking of non-urgent care, versus 33 percent of all respondents. Among the challenges of reducing avoidable ER visits, redirecting the non-urgent was considered a top obstacle for 3 percent of hospital/health system respondents, versus 18 percent of all respondents. And 40 percent of this sector saw reductions in avoidable ER visits of between 0 to 5 percent, versus 26 percent of all respondents. 2014 Healthcare Benchmarks: Reducing Avoidable ER Visits delivers actionable metrics from 125 healthcare organizations on their efforts to foster appropriate use of hospital emergency departments. Enhanced with more than 50 easy-to-follow graphs and tables, this third edition of comprehensive data points presents year-over-year trends and best practices for engaging ER and hospital staff, primary care physicians, community providers and patients in reducing avoidable ED utilization.